The educational mat consists of a beautiful, colourful mat with a playpen function, funny toys of different shapes making various noises (rattling, squeaking, rustling). With the playpen function the sides can be raised and fastened together, which further encourages the baby to lift his/her head, neck and strengthens the muscles of his/her back and provides security. Moving on the tummy, the baby always faces a different animal. 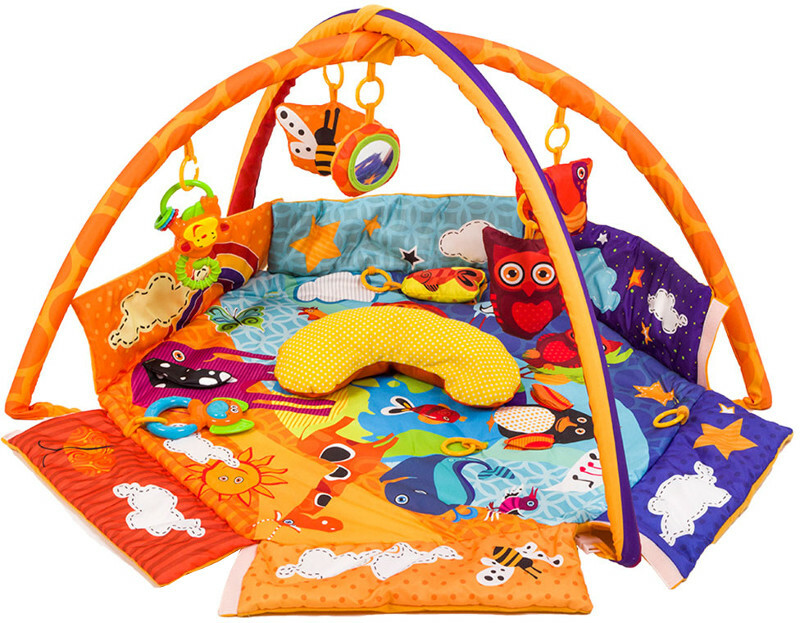 The play mat is made of soft, colourful fabric with heat insulation on the inside. The play mat was designed and approved in the European Union. The play mat is produced in accordance with the applicable EU directives.